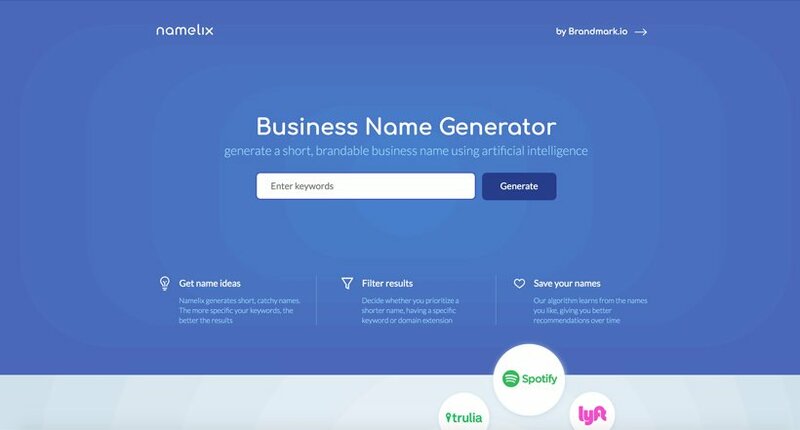 11 Popular Business Name Ideas Generator Tools - Best Company Names. 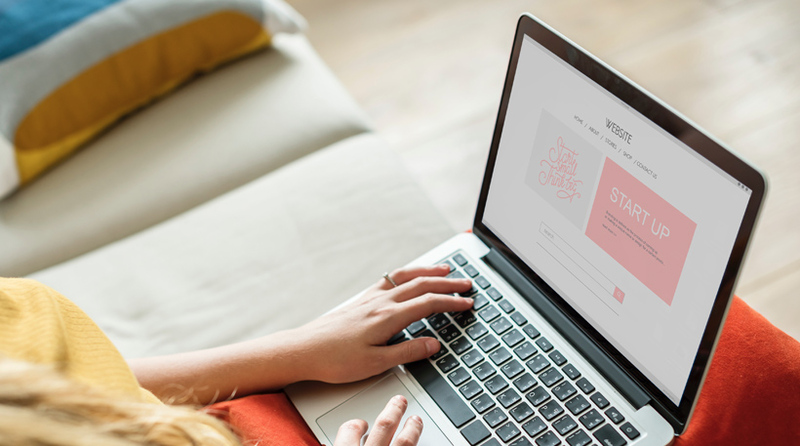 Starting a new business is a long and complicated process involving many steps, but choosing a business name can present a surprising challenge – mostly because it has to be perfect. Moreover, isn’t it always the way that the best ones are taken. For creative types, choosing a business name is the simplest thing in the world. For the rest of us though, it’s a challenge which can keep us up at night as we toss and turn and struggle to come up with a viable brand name that will perfectly sum up what our business is all about. 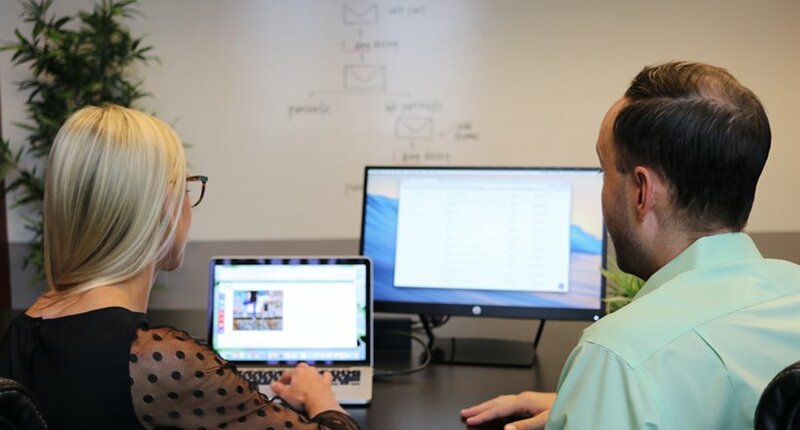 If you are one of the types who always struggle at coming up with the perfect name, then there is help available in the form of business name generators. The generators discussed below use a variety of techniques to come up with their selection of business names, which may mean a few of their options seem random and pointless. Trying out a few business name generators will ensure you have plenty of suggestions from which to make your choice. You can try just one of the selections below, but if you try them all, then one or more of them are bound to come up with the perfect company name for your organisation. According to the developers, Namelix uses sophisticated AI to come up with brand name solutions that are short and catchy. The filtering options give you choices as to how much of a priority the software gives to shorter names, and the more specific your keywords, the better will be the results. 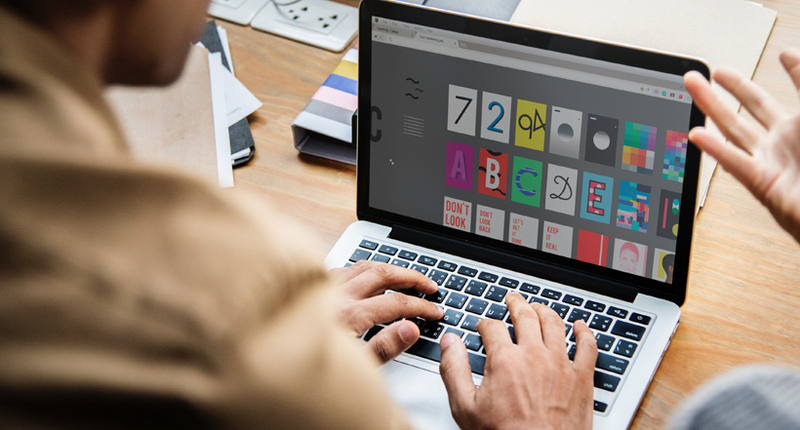 Long multi-word domain names are difficult to remember, which is why Namelix prefers short, easy names that inspire confidence. Each time you save a preference, the Namelix algorithm learns from your choices so it can deliver more relevant suggestions in the future. NameMesh is a free name generator giving you access to 20+ name generators from the one interface, while also providing some social proof for each of your selections. Once you input your keyword selections, NameMesh will automatically check domain availability, which also includes names with hyphens. There are eight name building techniques built into NameMesh. It can generate relevant names by replacing words you enter with similar words, with best results obtained by keeping your word choices down to 2 or 3. NameMesh also takes SEO into account and will keep the names short, so you receive highly brandable solutions. FitSmallBusiness.com is another free but highly useful business name generator. The page includes much information which should greatly aid you in selecting a catchy business name. Cool Name Ideas takes your keywords, the type of business, the customer benefit and personality, and the type of domain name you need, and then spits out a bunch of suggestions for you to check out. Once you have the list of names, you can then check the domain availability by clicking on it. Cool Name Ideas gives you comprehensive instructions to help you get the most relevant name ideas. Wordlab takes a slightly different approach to name generation. Instead of asking for keywords and the like you click on the “Get Name!” button to receive a randomly chosen selection from their list of more than 7 million combinations. While not as comprehensive as other options on this list, if you think of it as more of a brainstorming session to seed your ideas then you should get some value from this tool. If you are after a slightly more comprehensive business name generation tool than Wordlab, then FreshBooks is worth a look. After clicking the “Let’s Get Started Button” you will be taken through several dialogues asking for the industry type which includes creatives or marketing, legal services & business consulting, information technology, and trade and home services. Once you have made the industry selection, you will then be asked for your keyword options. The software will churn out a few brand names you can make a selection from, with your choice appearing on a new page. Namesmith gives you five keyword choices for inclusion in your domain name. The domains which are displayed can be exact keyword match blends, modifications, rhymes, or suffixes. If you see one you like you will be redirected to GoDaddy for purchasing. The Namesmith algorithm creates its name suggestions by constructing portmanteaus, which are a blending of two related words. Brunch is one such portmanteau you have probably heard of, as is the podcast, a blending of the words iPod and broadcast. If you want a name that speaks of a business with a cool, laid-back style, then the Hipster Business Name generator will be right up your alley. It’s similar to Wordlab in that it provides a single name each time you click the button. Name Station can get you started with an extensive list of brand name ideas for your business. Add the keyword you want to be included in your brand to have another screen pop up with a list of ideas. It is possible to sort the list so available domain names appear first, which can make your search more convenient. Domain Puzzler provides three different strategies for creating unique business names. The first is via keywords for exact match domains. The second option allows you to enter other related keywords you think might work. The third option is excellent for SEO purposes as it allows you to enter your suggestions, which are then matched up with popular keyword searches. Wordoid helps you find an available brand name by adding a keyword into the pattern dialogue field, which is located towards the bottom of the first box. The resulting words for your domain options are all made-up words, which is excellent if you want a name that is short, unique, and highly brandable. Using the filter on the left side column will tailor the results, so they are more in line with the type of brand name you need. If you come across a selection, you like you will then be redirected to GoDaddy for registration. Have you ever imagined a big business without a captivating business name? Not possible, isn’t it? A perfect name can catapult your business toward success. Perhaps you have already come up with some great ideas but not getting a matching URL, or maybe you have faced a lot of difficulties before, and now you aim to save time and money. No need to worry at all because we have made this process super easy for you. Let’s check out how to choose a business name? A business name should be catchy as well as informative about your business. It seems like a piece of cake, but it’s not. You’ll get many proves in the market. There are several businesses which failed just because of its name. So, you have to get it right. The business name is the key to get success. It gives you a unique identification and distinguishes you from our rivals. Usually, business owners concentrate on a business name that adds value to their business. It comes with some legal considerations. Before starting the exciting journey of choosing a business name, you need to get a clear idea about your business structure. This one is the most crucial part because the registration of the name depends on the structure of your business. Keep in mind that a real stricture can be implied by a cease-and-desist letter. So, understanding is imperative to avoid the trademark issues. If you want to set up a new company, you have to register the name of your business at the same time while you register your company. Do you have a partnership with someone or you are a sole trader? In both the cases, you have to register the name of your business with the ASIC. But, in that case, your name or your partner’s name should not be associated with the company. Before picking a business name check if the name is available or not. From a technical point of view, multiple entities can use a trademark business name. But if you want to create your brand value in the market, you have to choose a unique business name that is easily distinguishable. Now the question is how you can find if the business name is already taken or not? ASIC website gives you an easy solution. Here you can check the availability of any business name. Renewal and registration charge is per year. You can even transfer or update the name of your business for free of cost. Now, if you want to register it as a trademark and if you are looking for trademarks that have already been registered then you need to search IP Australia. How to choose a good company name? We have already stated that a name should be unique and informative about your services. Now let’s check out some valuable tips that you should keep in mind while choosing a business name. Give enough time and effort to define the concept. At first, Jott down some succinct sentences. It should describe your ideas in simple words. Now choose a name that is informative but not boring. You can take the example of “Painting Service in NSW.” It’s not only boring but also hard to remember. Instead of that, you can try PhotoBucket. It’s super cool, descriptive and easy to remember. Avoid using general keywords. Instead of that, focus on your creativity. Choose the modified version of the keywords which works efficiently. It should also describe your business. Along with that if you want to produce a stricture and memorable business name then try to utilize the alternate versions of the words that represent your services. For example, if you are hunting for an excellent name for a content aggregation tool, why don’t you try Attensa? It’s relatable. Isn’t it? This particular word came from the word attention. Similarwise, Flickr can be used for flicker and Compaq can be used for the compact. An appealing business name is simple, easy to pronounce and urge positive emotions. Think about a name like Zippil. It’s easy to pronounce, yet downright obscure. Whenever you take your business name in front of people, you’ll not feel right. So, think some brainstorming ideas and whittle your list down. Your aim should be producing a workable shortlist. Always avoid those names that have already been used. It’ll hamper the image of your brand and appear unoriginal. Your potential customers will be confused, and as a result, you’ll lose productivity. If you have an established business, then it’s a different matter. But if you use your name, your potential customers will not get any clue about your services. You could take the example of PageRank which was named after Larry Page who was the co-founder of Google. You’ll be amazed to know that it’s just an algorithm. You need to think about your future too before choosing a business name. If you are selling books, you can sell accessories and stationery products also. Isn’t it? So, choose a name that embraces the business growth in the future. When all these works are done, it’s time to check out the availability of that name. At first, check out if you have to face any trademark issues. Then search for your desired domain, especially if you want to establish an online presence. Keep in mind that a domain name has a tremendous impact on both online visibility and marketing efforts. What to do if your desired business name is already taken? We have a solution for you. Let’s check out. A parked domain is memorable as well as SEO friendly. So, don’t think twice before buying it because it’s worth it. Next, you have to apply your creativity. For instance, if you sell night wares, sleeptight is an ideal name for you. But if it’s taken, search for sleeptightonline.com or sleeptightnightwares.com. Break it and make it memorable. You can take the example of Postachio, one of the best blogging platforms. They write their domain as postach.io to make it memorable. So many examples can be drawn like del.icio.us. Picking a business name is a daunting process. Try to go through the structured methodology, consult your friends and other accomplished professionals. Then only you can come up with a unique name that strongly resonates with your potential customers.